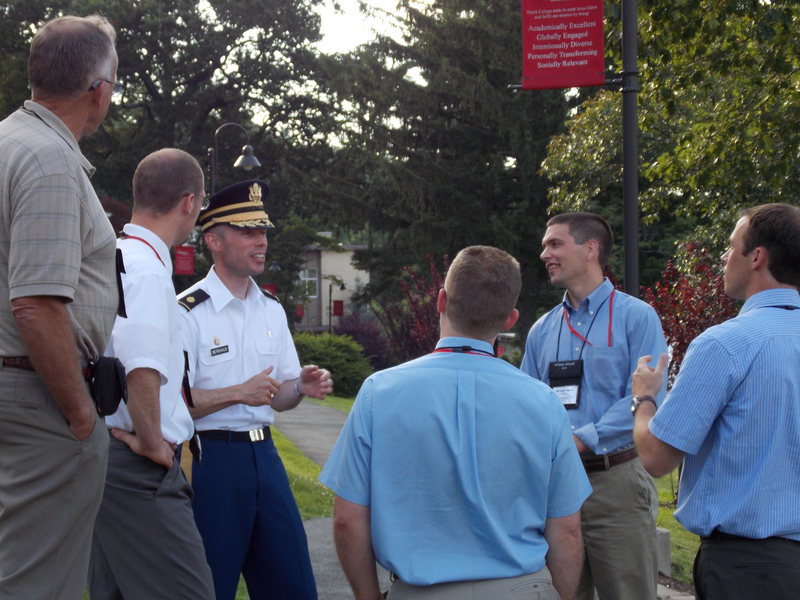 OPC Chaplain Paul Berghaus led delegate wives and others on a tour of the US Military Academy at West Point, and visited with friends on the Nyack campus that evening. In response to an overture, Synod Schererville 2007 appointed a study committee to report on the level of doctrinal commitment necessary for membership in the URCNA. That committee brought an evenly divided report to Synod London 2010, which accepted neither opinion, but asked the committee to come back to the next synod with a new report. Taking a different approach, the study committee on Doctrinal Commitment was able to present a unified and pastoral report that lists eight affirmations (with explanations) regarding doctrinal commitment and membership in the URCNA. Synod adopted the document under the newly defined category of “pastoral advice” and it will be sent to the churches with a preface that defines “pastoral advice” and explains its authority. The above article by Glenda Mathes appeared on page 16 of the July 11, 2012 issue of Christian Renewal.